Back Again In A Short While But It's Goodbye From Me For Now! As I close the little creaky doors on KT Miniatures for a short while, I must first of all thank EVERYONE for all the wonderful messages sent over the past few days. What a lovely lot you are! Even though I wasn't able to reply to every single one, they cheered me up no end. 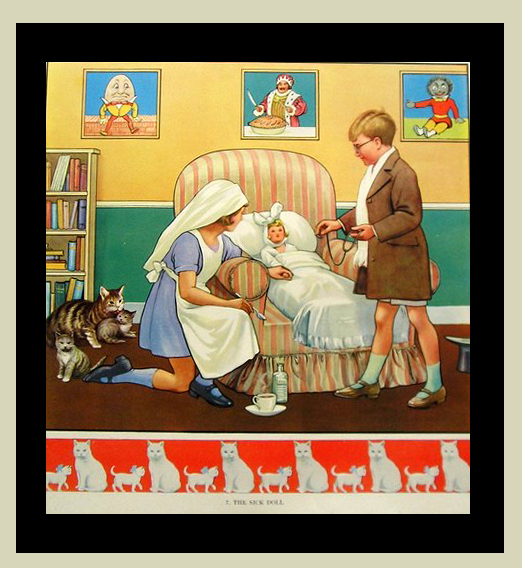 Have particularly enjoyed your very helpful tips on various tonics, relaxation techniques and how to cope with the boredom of convalescence. I shall certainly be giving one or two of these a go! Have been feeling so rotten lately that am more than ready for the surgery next week now but am confident that I will be back very soon. WHEN FATHER PAPERED THE PARLOUR...A WEEK BEFORE CHRISTMAS! To get you in the mood, here is Billy Williams singing that wonderful song...guaranteed to make you smile! KT Miniatures is now temporarily closed for business. I hope to be open again by the beginning of August, if not before. Look out for the "open for business again" announcement on here, on the Home Page of KT Miniatures website plus KT Miniature's emailed newsletter (you can subscribe by clicking on the link found on the left hand sidebar of my web pages). Sorry but I will not be able to respond to emails, comments on this blog or phone calls now that I'm closed but feel free to carry on perusing KT Miniatures website in my absence and enjoy! Advance Warning - KT Miniatures Closing For A While! This is an advance warning to let you know that KT Miniatures will be closing for business temporarily on 30th June 2012 for probably most of July, whilst I undergo some surgery. During that time I will not be able to deal with enquiries or accept orders either by phone or online, sorry. 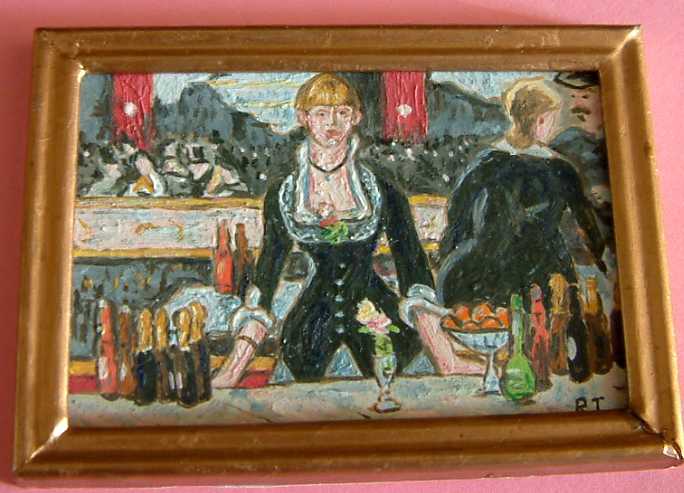 However, the website will remain visible and you can continue to enjoy perusing all the pages of KT Miniatures. I have already begun winding down so no more new stock will be listed now or at any time whilst I am closed. All outstanding transactions will need to be concluded before I close on the 30th so I will be in touch if this affects you. But hey don't worry.......I shall be back open for business before you know it, fighting fit and raring to go with lots more lovely goodies for sale. It is my intention to open again as soon as possible but at the moment, not sure when that will be. Look out for an "open again announcement" via newsletter, KT Miniatures Journal and of course on KT Miniatures Home Page. Thank you for your patience and understanding meanwhile. Fresh back from my eldest son's wedding in Liverpool on Saturday, even though I'm still on cloud nine as it was a truly beautiful and magical day, am slowly beginning to catch up. I have to say that it's been a rather long time since I 've ever partied until nearly 2.00am in the morning and will probably be rather a long time until I'll ever do again but hey.....it was fun!!! Ok...now to something else rather lovely. Followers of KT Miniatures Journal will be aware that every year I help co-ordinate fundraising for the Breast Cancer Campaign charity at the annual Thame Dolls House & Miniatures Fair which is held every February. Well apparently.....after reading about our charity auction winner in the latest issue of Dolls House & Miniatures Scene Magazine, miniature artist Ryan Terry of Petite-art got in touch as he felt compelled to generously donate a painting to the next charity raffle to be held at Thame Fair 2013!!! Sadly Terry has lost both his parents to cancer and consequently wishes to help raise money for a cancer charity through his paintings. So huge thanks to Terry for this donation. It will be put away safely until February 23rd 2013 which is when the next Thame Fair will take place. Recently he has been painting several Devon landmarks and guess which landmark he has only just recently completed......yep, Castle Drogo! If you read the posting before this one on here, you will see the significance. 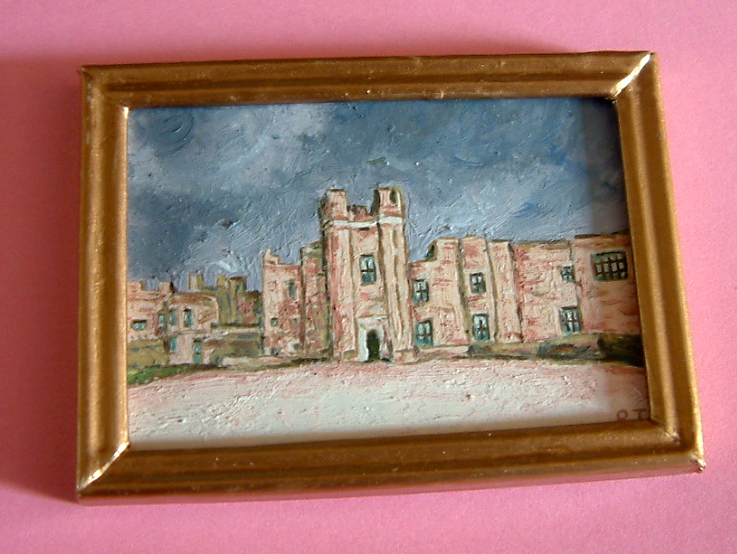 So now thanks to Terry, I have my very own miniature painting of Castle Drogo which is destined for one of the rooms in my 1930s Hobbies House. Sometimes things are just meant to be, don't you think? 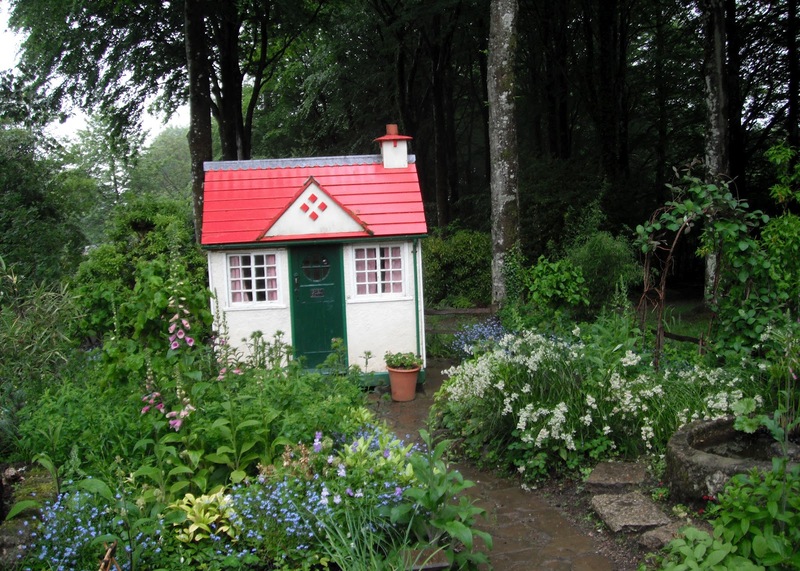 Some Little Houses Of A Different Kind At Castle Drogo! On our quest to get out of the continual heavy rain on our travels around Devon last week, we came across a little treasure of a place called Castle Drogo. I understand that it was the very last castle ever to be built in England (early first half of the 20th century) and some place it is too. The architect was the famous Edwin Lutyens, known for all kinds of buildings including Queen Mary's Dolls House. I did take photos of the exterior of the castle in the rain but sadly none came out brilliantly - so won't bore you with them. 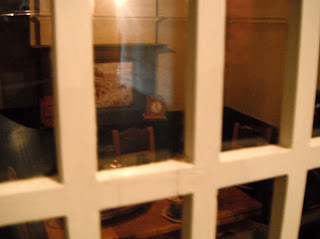 Similarly my attempt to take photos of two dolls houses inside Castle Drogo were not much better but I will show you the best of the bunch and have added links further down on here, so that you can view proper official National Trust photos too. Visitors were not allowed to take flash photography inside Castle Drogo so I had to make do with taking photos in natural light along with the aid of a bit of computer magic! I didn't catch the significance of this little treasure but the front was open and one could view inside so a little easier to photograph. There were snippets of information about how one goes about restoration of an old dolls house...very interesting! I found the antique fixtures and fittings plus the style of decor fascinating too. A bedroom at the front of the house. 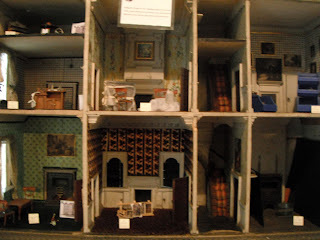 However, the massive dolls house found at the end of the Service Corridor was simply stunning. It was made for Mary Drewe, the eldest of the two daughters of the owner of Castle Drogo and was built by the estate's carpenter in 1906. It even had running water! 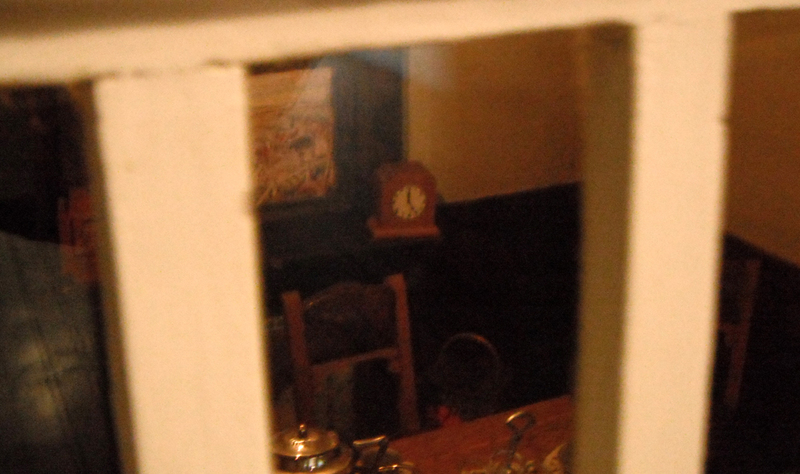 However the little house frontage was closed so one had to be content with peeking through the front windows. My attempt at photography through the glass windows were not great but will show you anyway. A brief peek at the dining room. I think this is the dining room.....you can't see much as the light was reflecting on the glass....so I have included a second photo of the same room below.....not sure it is much better, sorry. After a bit of Googling I found this wonderful link so that you can see some brilliant official photos of Mary Drewe's dolls house. Do go take a look, it's magnificent! 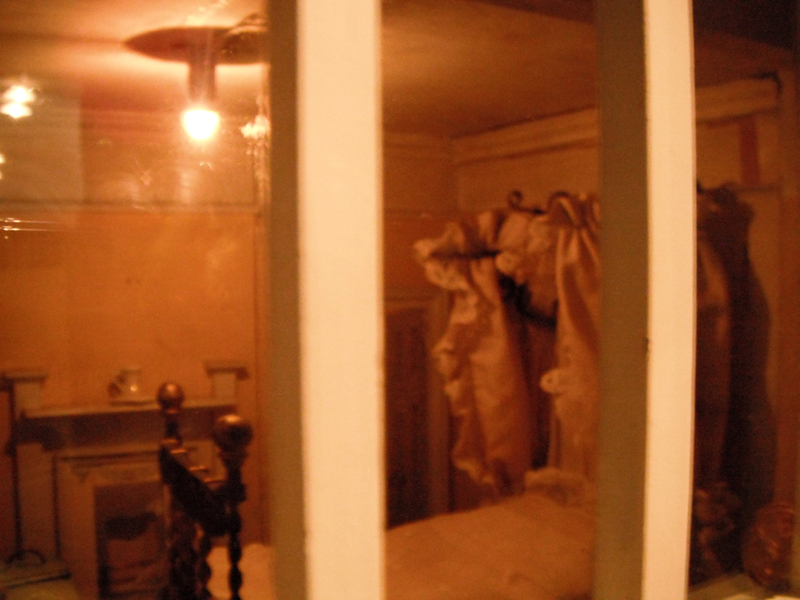 Plus if you click on the official Castle Drogo website, there is a photo of the interior of this dolls house within the slide show. Last but not least, tucked away in the magnificent and vast gardens on the Castle Drogo estate is the most exquisite little Wendy house I think I have ever seen. 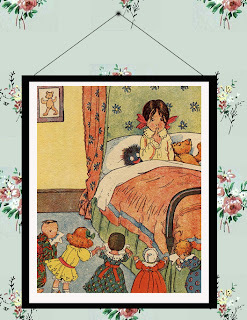 This was made for Frances Drew, sister of Mary. Just look at the garden too......isn't it magical? This new definitive Tri-ang book replaces Marion's original Tri-ang book which is out of print. 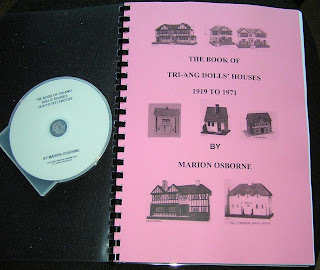 It comes as a comb bound book, crammed from cover to cover with information including pictures of all 131 dolls house designs made by Tri-ang, which undoubtedly will prove invaluable for many years to come as a source of reference. Also accompanying the book is a computer disk containing over 5,800 photos....useful as an aid in identification and restoration. Marion has long been renowned as a leading light in the vintage dolls house world for her incredible knowledge and passion on old dolls houses and this latest book does not fail to disappoint. As the title suggests, this book is about the Tri-ang dolls houses only. I understand that Marion has other books in the pipeline tackling G&J Lines and Tri-ang furniture separately under their own individual titles, having amassed a huge amount of information over the years. 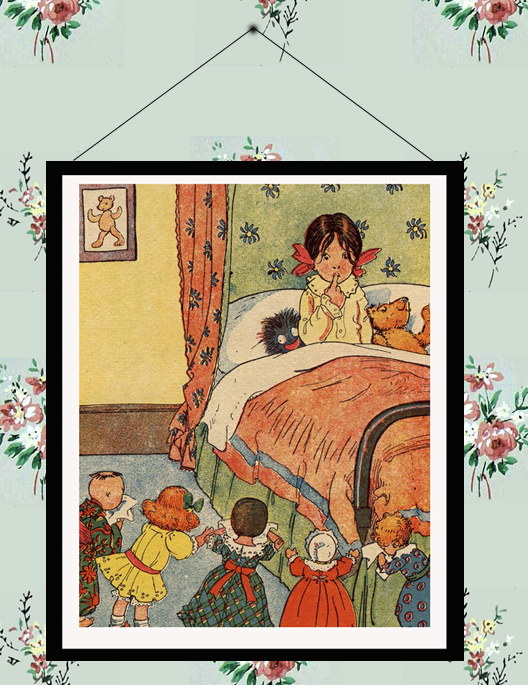 Information about Marion's other books plus other reference books on vintage dolls houses can be found on KT Miniatures Recommended Reading Page For Antique & Vintage Dolls Houses. Bit Of A Knees Up Here In The UK These Next Few Days! 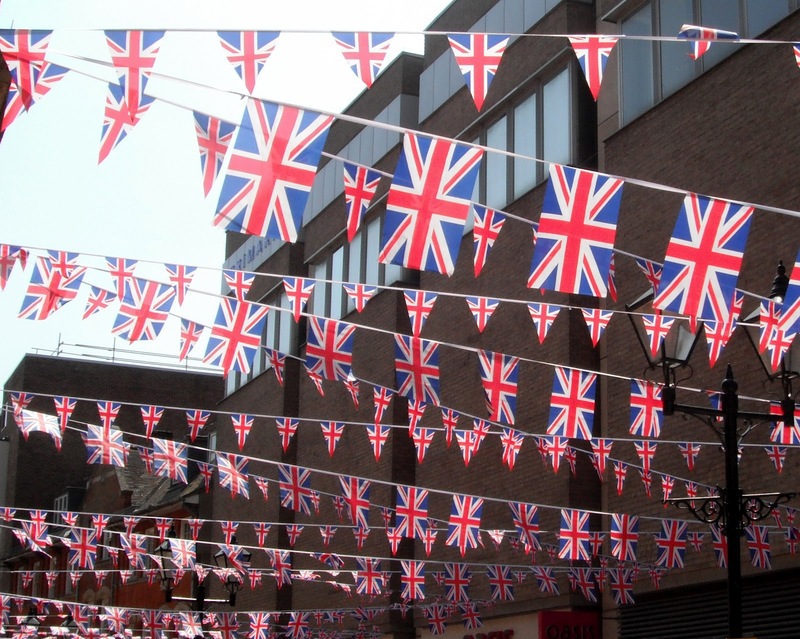 Anyone who is based in the UK at the moment, will not be able to go anywhere without seeing Union Jack flags and bunting flapping around. For those of you who live outside of the UK and may not know, for the next few days over here we are having a good old knees up on a massive scale! 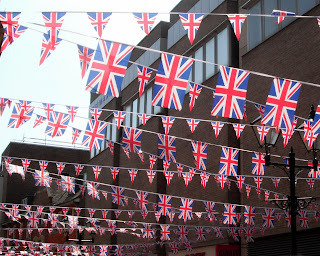 It's our Queen's Diamond Jubilee (she has been 60 years on the throne) and it seems the whole country is going to be partying!! So......for the duration of the bank holiday weekend and into next week, KT Miniatures is kind of closed for a few days until the partying is over! I will try and answer enquiries when I can. Was driving through the village of Waterperry in Oxfordshire this afternoon and spotted this wonderful quintessential British scene.....just had to take a photo!!! 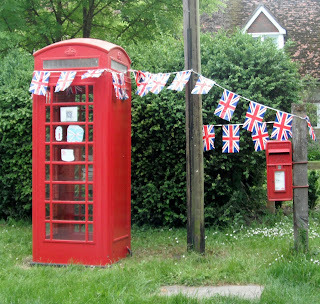 Hope everyone has a wonderful Diamond Jubilee time!